People with asthma who travel regularly to Mexico City or other places linked with air pollution may be interested in new research that suggests long-term exposure to particulate matter makes it difficult to manage the condition. French scientists carried out a study to look at how the presence of particulate pollutants, nitrous oxide and ozone levels affects asthma sufferers' ability to control their condition. The team surveyed more than 480 patients about the severity of their condition, use of medicines and hospital visits. The disease management information was then assessed against air quality data, obtained from the French Institute of the Environment, in the area where the participants lived. Findings published in the Journal of Epidemiology and Community Health show people exposed for longer periods to higher levels of ozone and particulate matter had poorer control over their condition. It suggests greater precautions and a good medical travel insurance policy will be useful for asthma sufferers visiting places known to have poor air quality. Volunteers in the study were classified into three groups, with 44% having well-controlled asthma, 29% with partially controlled and 27% with uncontrolled asthma. 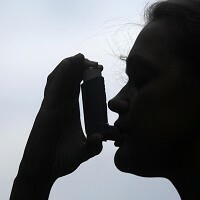 Uncontrolled asthma includes symptoms such as being woken up in the night with shortness of breath, using quick-acting inhalers a lot, using steroids to control asthma and going to hospital with symptoms.